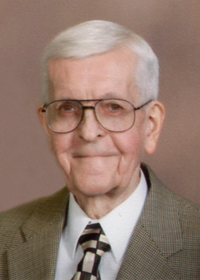 Robert (Bob) C. Ackermann passed away on Tuesday, April 9, 2019, at Mercy Medical Center in Des Moines, Iowa, at the age of 79. Visitation will be held from 5:00 to 7:00 p.m. Friday, April 12, 2019 at Hamilton’s Funeral Home, 605 Lyon Street, Des Moines. Funeral services will be held at Capitol Hill Lutheran Church, 511 Des Moines Street, Des Moines on Saturday, April 13, 2019 at 10:30 a.m. Burial will follow at Sunset Memorial Gardens in Des Moines. Bob was born September 14, 1939, in South Amana, Iowa to William and Anna Ackermann. He graduated from Amana High School and the University of Iowa. He worked as an accountant over the years for different businesses and retired from Life Care Services LLC. He was united in marriage to Joan E. Rogness on October 22, 1977, at Central Lutheran Church. He was a member of Capitol Hill Lutheran Church, had a deep faith in God and believed that he would have eternal life through Christ’s death and resurrection. He is survived by his wife, Joan, of 41 years and is preceded in death by his parents, William and Anna Ackermann. In lieu of flowers, memorials may be directed to Capitol Hill Lutheran Church.